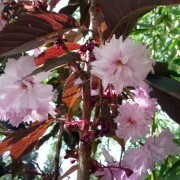 Prunus ‘Royal Burgundy’ is a small, spreading deciduous tree. 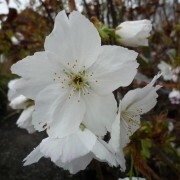 It has deep wine\purple leaves which turn bright scarlet in the autumn. 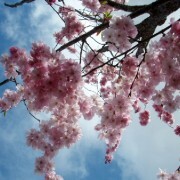 Double pink flowers appear in the spring. 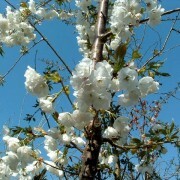 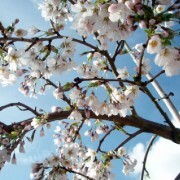 Prunus ‘Royal Burgundy’ has an eventual height of 5m and a spread of 3m. 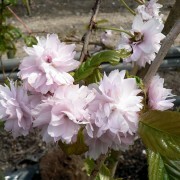 It will not thrive in very wet or chalky soils.